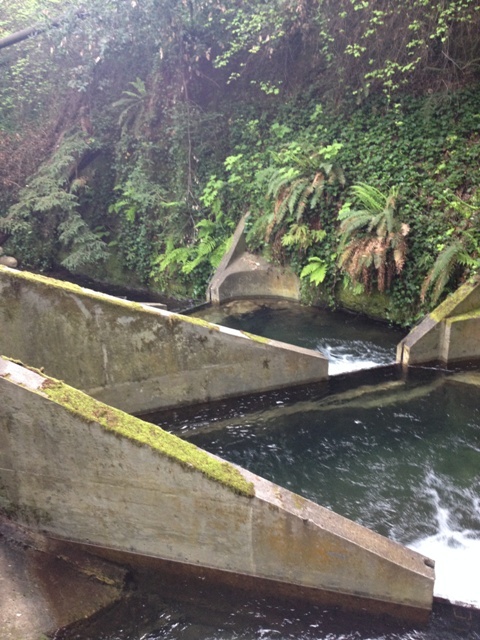 Waterways is supporting the San Lorenzo Valley Water District by leading the design team on the Fall Creek fish ladder and diversions screening project. The project involves expanding and retrofitting the existing fish ladder and diversion intake structures to comply with current DFW and NOAA fish passage and screening standards. The ladder will serve both adult and juvenile life stages by providing dividable ladder cells. Further, the design lowers the screened intake location to reduce the height fish must pass through the structure. Phase one was constructed in 2014. Phase two is scheduled for the summer of 2016.